Katharine Kreisher, Playing on the Girls’ Team, 1987. Three untitled slides, from the Boys’ House project, by Patty Martori. Two photographs, No Room For Squares and I Feel the Goodness Going Out of Me , by Elliott Schwartz. 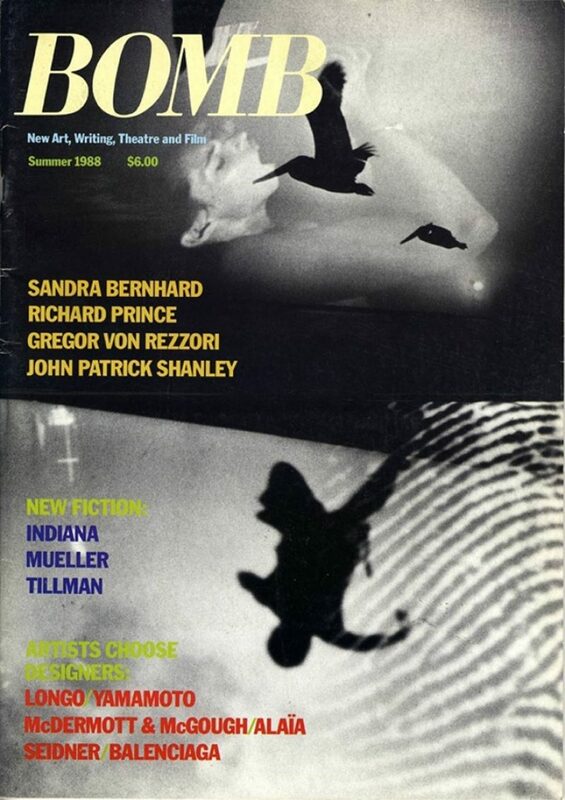 Richard Prince by Marvin Heiferman, Christian Lacroix, Sandra Bernhard by Gary Indiana, John Patrick Shanley, Gregor von Rezzori, Cristobal Balenciaga, and more.